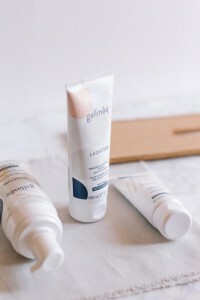 We’ve partnered with Gallinée, they are a new innovative skincare line with a patented complex of prebiotics, probiotics and lactic acid. They are the first brand to take care of your skin and its bacterial ecosystem, the microbiome. Girl Meets Dress is offering you an exclusive 20% off Gallinée, when you hire a dress from us! Who doesn’t love a discount code, especially on skincare? Marie’s, background as a French Doctor in Pharmacy and a member of the French Society of Cosmetic Science, helped her design and patented the triple biotic complex that you can now find in Gallinée’s products. Anaïs’ previously worked in branding, marketing and PR. Her 15 years of experience have been spent at ELLE girl magazine, Shiseido, Dior and a host of beauty start-ups. They have been recently featured in the Times and Elle. Order your dress now to get your exclusive 20% discount code! Check their website to view their entire range of skincare! Posted May 24th, 2017 in Offers & Competitions, Partner, Partner Offer. Tagged: Gallinée, Gallinée discount, Girl Meets Dress, GMD, hire a dress, hire celebrity dresses, hire cocktail dresses, hire designer dresses, Hire dresses, party dresses, rent a dress, rent celebrity dresses, Rent designer dresses, rent dresses, rental, Skincare Discount.